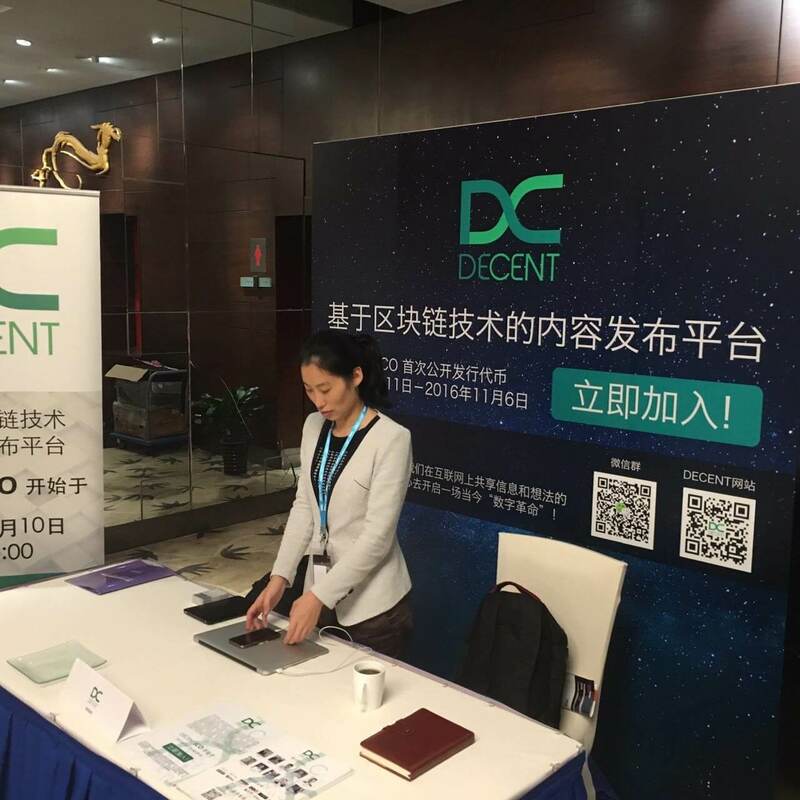 DECENT joins the community at Shanghai Fintech Meetup! After nearly a month, DECENT’s journey through China came to temporary conclusion. Matej Michalko, company’s co-founder and CEO gave his last speech at Shanghai Fintech conference on 27th-28th October on the topic of the blockchain potential and its cooption by fintech companies. 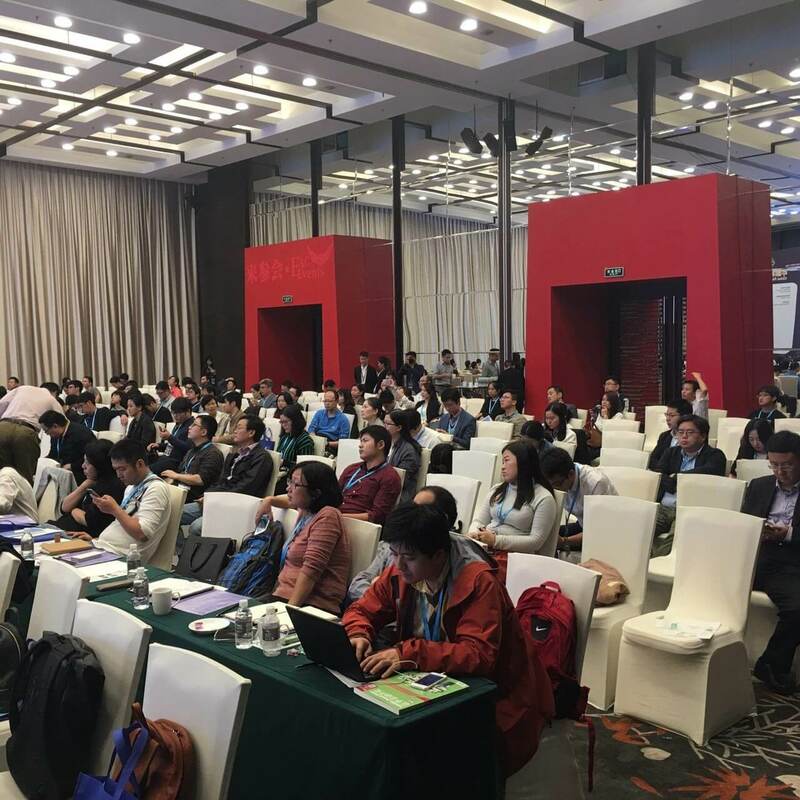 As a part of syndicated group of licensed events under the banner of finance and technology industry’s motto – innovation, Shanghai International Conference Center emanated enthusiasm, vigour and profound interest. Attendees, ranging from ordinary public aficionados to corporate ambassadors, took over the foyer and, understandably, the conference hall. To name few – Alibaba, Ping’an Group, Jingdong Finance, all exploring possibilities of smart finance, asset allocation, micro-finance, rural finance, BlockChain, AI, cloud computing, e-money, or network lending. Matej Michalko commented on this rather briefly, “who wouldn’t enjoy a large meetup with progressive agenda on the menu?” When not speaking on behalf of positive atmosphere around him, he’s giving a presentation on unbounded and decentralized blockchain distribution of digital content, which included introduction to in-deep mechanisms of data storing, cryptography and peer-to-peer principles. Naturally, he touched on company’s goals. Developing various apps build onto DECENT protocol, starting its own streaming service, providing distribution channels for content like books, or music and all of it protected by nextgen cryptography – all projected to come out in following years, with DECENT Web app almost on the doorstep, peaked the attention to the max. Whether inside conference hall, or outside, everybody could participate in their own way. One way was to gather around the company’s marketing stands, where the general manager for DECENT in China, Xiaomin Wang was prepared to answer any questions about the startups upcoming plans or ideas in motion. As an apparent newcomer to China, DECENT tends to capture the curious eyes of various institutions. 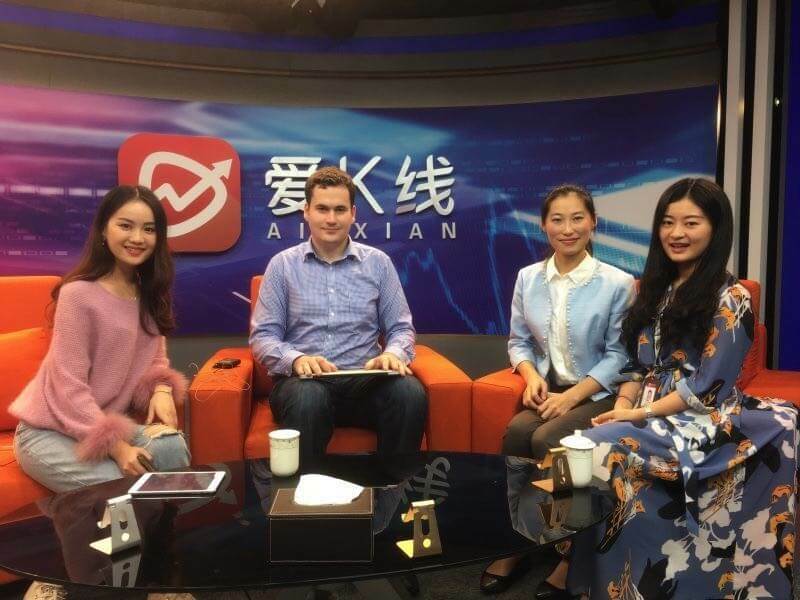 One of them, CCTV, largest state-sponsored news channel conducted an interview with aforementioned Xiaomin Wang. She appreciated DECENT current acceptance in the big boys club, Lujiazui Blockchain Finance Development Alliance Membership, which would benefit DECENT by further solidifying its position on highly competitive Chinese market. With Shanghai Fintech meetup ended, DECENT road trip in China, promoting its brand and vision and gaining new essential partnerships, temporary halted. During that time, Matej Michalko visited and co-run Beijing Blockchain Forum with Hackereum Project founder and current business partner, Xu Hejun. Then, the Blockchain Seminar held in Shenzhen, the well-known Silicon Valley of China happened. There are some landmark accomplishments that need to be mentioned. The past three weeks in China gave DECENT partnerships with Hackereum Project, or Beijing Fastweb, the largest internet provider in the country. 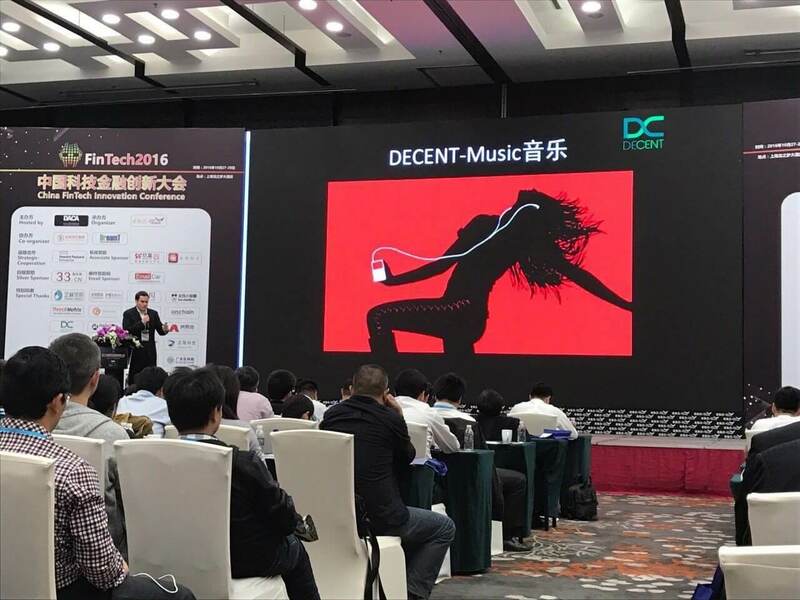 Thanks to cooperation with Aikxian, DECENT greeted its supporters via live-stream broadcast from Shenzhen. But before all of these, one of the proudest moment in the history of this company came on 20th October in Shanghai, where JadeValue, subsidiary of CashBus opened its offices in Lujiazui district, a financial epicenter of China. With Slovakia, Armenia and Switzerland, the workspace in Shanghai expanded our DECENT family even more internationally. Although DECENT ravenous hunger for business ventures and technology innovation has been satisfied for now, fulfilment of our goals is still pending. One way for you to participate is to join our cause and be active in our ICO. You still have some time, so get your DCTs and help us substantially grow. Subscribe to our newsletter and stay alert for new info.